Our Tale of Two Fishes continues today with an exciting [article] that came out in mid-March (2016). The article talks about the Tully Monster (Tullimonstrom gregarium), the state fossil of Illinois (USA), and a particularly difficult fossil to understand. The Tully Monster is found in sediments that are from the Carboniferous, about 300 million years ago. 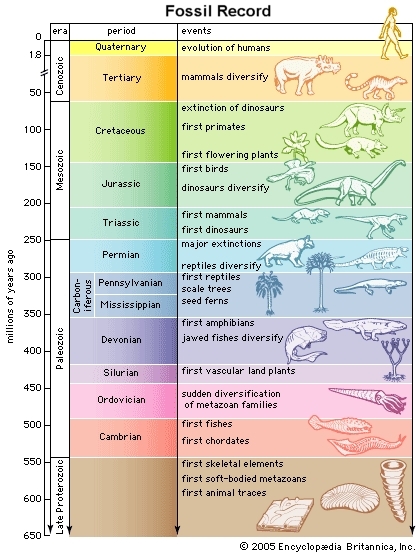 That’s about half way through the Paleozoic Era (around 540-250 million years ago), the era before the Mesozoic (famous for being filled with dinosaurs). You’ll notice we count time backwards. This is because we dig downwards to find fossils, and if the surface of the ground is present day (= 0 million years ago), then downwards is older. The Phanerozoic – the time of visible life. The Tully Monster is usually found as an impression inside a rock. We have thousands of them preserved and each look pretty similar to each other, so we know that it was definitely an animal. The problem was figuring out what kind of animal it was. Based on similarity with other animals, paleontologists had grouped the Tully Monster with molluscs (the group containing snails, clams, squid, slugs, and more), arthropods (insects, spiders, lobsters, trilobites, scorpions, horseshoe crabs, and more), and conodonts (weird early fish that were only known from individual teeth for a long time). Those are three radically different types of animals, none of which really suited the Tully Monster. 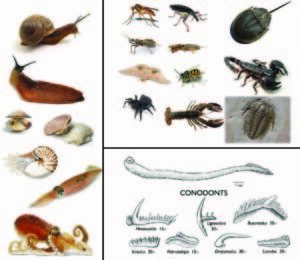 Molluscs on the left, arthropods on the top right, conodonts on the bottom right. There are more, but these three features must be seen in an animal to define it as a vertebrate. 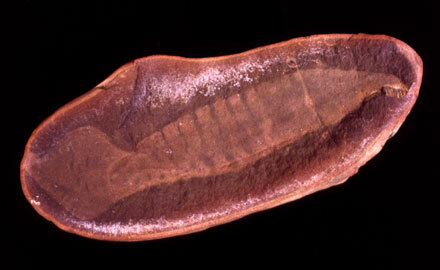 The authors also performed a computer analysis to determine the Tully Monster’s position in the vertebrate evolutionary tree and found that it is most closely related to lampreys and their relatives. 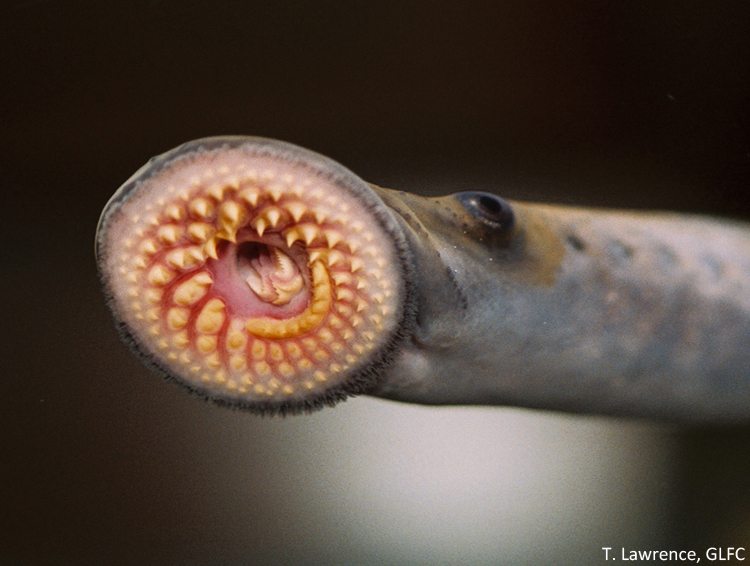 If you’ve never seen a lamprey, they are long, plain looking fish. So, the Tully Monster was misunderstood in many ways until this study showed that they are early fish. And that concludes our Tale of Two Fishes.